Good record-keeping can dramatically improve a research and development (R&D) tax credit claim, increasing both its robustness and value. For your company, this means maximising your innovation funding while minimising the chance of a challenge from HMRC. This article explains why you should keep records for R&D claims, the type of records to keep, practical tips for both first-time claimants and established claimants, and a glimpse at future trends in record-keeping. Records of time and money spent on research underpin any R&D tax credit claim. If you are undertaking qualifying R&D activity and wish to make a claim, you need to be able to credibly show to HMRC the amount of money you have spent. Show a systematic approach to R&D activity. Account for all qualifying expenditure. Demonstrate any innovations you made were the result of planned R&D work and not an accidental discovery. The benefit of good record-keeping is a better-quality claim. This often means more qualifying expenditure can be identified, whilst reducing the chance of HMRC querying your submission or opening an enquiry. In general, a more real-time approach to identifying R&D projects and costs is key. It produces more robust, and often more beneficial, results. The best way of doing this is by keeping contemporaneous records. HMRC has been encouraging larger claimants to do just that to back up future claims. Contemporaneous records are real-time documentary evidence of what was going on in your company – in this case for R&D purposes. It will be natural that you keep some contemporaneous records anyway. For example, payroll and performance reviews. Though they won’t automatically align with what would be needed for an R&D tax credit claim, they show that such records are achievable within a business without creating overly onerous processes. The strength of contemporaneous records for R&D tax credit claims is that they provide a reliable picture of what R&D activity and expenditure has occurred. They minimise estimation, particularly when looking back at work completed over the previous accounting period. What do HMRC not expect from your records? HMRC doesn’t expect the record-keeping you implement to be onerous to the business or conflict with any wider business requirements. For example, they wouldn’t expect you to buy an off-the-shelf timekeeping system purely for recording your R&D expenditure. What records do you need to keep for R&D tax credit claims? Even if you do not consider that they are R&D, keep a list of all projects as you plan and carry them out. In our experience, it is not uncommon for companies to mistakenly think that “that in-house new software development project” or “modifications of a cake recipe” didn’t count as R&D. If no records are available of these projects to review, then expert advisers like ForrestBrown will not know about them to include in a claim. Or if they are discovered by chance, the claim value will be limited if there is little recorded data on which to base it. If you know you have an R&D project, you can be more detailed in your record-keeping. And make sure it aligns with the government’s guidelines for R&D (this document explains the definition of R&D for tax purposes in detail). It is normally best to capture the advances sought and uncertainties faced at the outset of a project or during it. Ensure your relevant competent professionals are involved in this record-keeping to add robustness. Staff costs play a crucial part in many R&D tax credit claims. Not just the hands-on R&D people, but also those indirectly involved in the R&D process. A contemporaneous record-keeping system that logs staff time devoted to R&D projects is likely to be a cornerstone of good record-keeping practice. If timesheets aren’t for you, do you hold regular senior management team meetings? 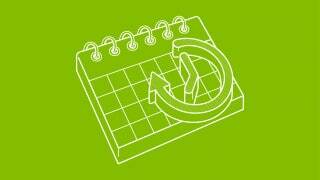 Could you add R&D to the agenda, review your active projects and record the members of staff involved and their roles? Money spent on consumables like materials used up or transformed in the R&D process, heat, light and power can all be included in an R&D tax credit claim. An exception to this is a prototype that you go on to sell. Accurately recording this expenditure can help support a larger claim. For example, at early stages you tend to buy materials in smaller quantities and pay a premium. Good record-keeping will ensure you are able to ring-fence these higher costs, meaning that you can justifiably include the higher costs in the claim. Many companies will bring in outside expertise to assist them with their R&D projects. Understanding the different classifications of such workers and recording them appropriately will help with the accuracy of your R&D tax credit claim. This will reduce the chance of queries from HMRC and allow you to put in larger claims where appropriate. Ideally the costs of each classification of worker would be recorded under separate ledger codes in your accounting system. This means you don’t have to retrospectively analyse these. Having looked at the types of activity we advise you to record, now let’s look at how to record them. Because staff time tends to form such a central part of an R&D tax credit claim, accurate records are essential. And timesheets are an obvious answer. Timesheets are good at determining the appropriate proportion of staff time attributable to R&D. A timesheet system for logging staff time on projects is a strong foundation for preparing an R&D tax credit claim. It also creates a list of commercial projects undertaken, which is helpful in itself – as we highlighted above. But more than that, it chalks up time to each project, giving you an accurate view of time apportionment for each staff member. One of the strengths of timesheets is that they are contemporaneous records of how time is spent. They will probably be as close as you can get to real-time record-keeping, being completed on a daily or weekly basis. In our experience, the closer you can get to a real-time approach, the bigger your claims are likely to be. As they are unlikely to be solely used for R&D, there will not be a perfect alignment between what they record and your R&D projects – so a degree of judgment will still need to be applied. You need to consider whether they are accurate before you rely on them for an R&D claim. Who in your business is responsible for them? Who fills them out? Do they properly understand the definition of R&D? What is the main reason they are kept? Timesheets will not help you analyse the costs of external workers like subcontractors, materials expenditure, or in defining R&D activities themselves. ForrestBrown can help you modify existing record-keeping systems like timesheets to ensure they are suitable for use in an R&D tax credit claim. This will help you keep good quality records with the least amount of effort and ultimately improve the quality and size of your R&D tax credit claims. Think how you can adapt existing processes to better record information. You probably won’t have to reinvent the wheel when implementing R&D record-keeping procedures. You will be sure to have some processes in place that will be of use. Another idea could be kick-off meetings for projects and R&D projects. These may include many of the relevant discussions for allocating resources to R&D, discussing the technological uncertainties and risks, and setting out your goals. Minuting such meetings is an excellent form of record-keeping. Accuracy leads to larger claims. The more confident that you can be in the information underpinning the claim, the bolder you can be in increasing its value. Ideally before you start your R&D projects (but if it’s too late for that there will be value for future claims) review where you will be relying on estimation. Then work out how you can put a proper record-keeping process in place so that you can present hard facts as part of your claim. Embrace record-keeping. We find that among the companies we advise, the ones who plan and strategise around record-keeping for R&D develop a special culture. This means that they put innovation at the heart of their business. They realise that with R&D tax credits, they can take on more risky projects and ultimately do better work which drives the overall growth of the company. Ensuring your records are accessible. It is important to ensure your records are accessible – kept in a secure, structured fashion. This will be important both during the preparation of the claim, but also afterwards in case HMRC want to audit any of the information. Even records of activity that doesn’t qualify for R&D tax credits can be useful. Some activities are specifically excluded from R&D tax credits, even though they may be innovative. But records documenting such activities still have the potential to be used in an R&D tax credit claim. One such example is patent applications. The costs of putting together and registering a patent do not count as R&D – rather they are for protecting completed R&D. However, the records are useful because they provide strong evidence that qualifying R&D took place. Always think about wider records you keep and how they could feed into an R&D tax credit claim. If you work in a digital or tech space and you are not claiming R&D tax credits, it’s a no-brainer. Have a conversation with ForrestBrown to see if you can benefit. Don’t get hung up on terminology – ‘R&D’ covers a lot of different activity. The pay-off of doing so can be phenomenal! 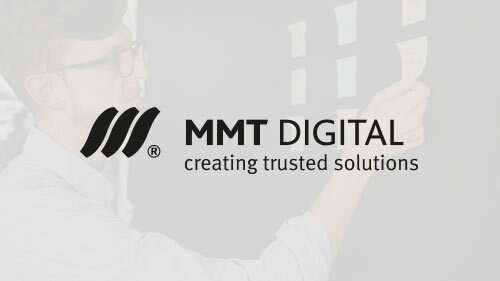 MMT Digital, benefitted from having already implemented a bespoke timesheet system and so was able to maximise its claim value by submitting contemporaneous evidence to demonstrate its R&D activity. The firm, one of the UK’s top 20 design and build digital agencies, develops innovative digital products and technologies for global brands. Its projects range from standard website builds to bespoke systems that require extremely complex iteration. MMT’s more challenging projects typically involve large scale, highly technical applications that make use of pioneering back-end infrastructure. ForrestBrown worked with MMT after it developed a unique new software platform for a client that completely digitalised educational resources for students, with their own personal log-in details. The technological uncertainties experienced within this project were focused on the development of the use of a relatively new and unexplored nascent technologies. Despite MMT Digital being aware of R&D tax incentives, they were not aware of to what extent that they could recoup their R&D investment and against what type of activities they could claim. However, due to the numerous unknowns when starting the project, capital investment and labour required to achieve success, it was clearly eligible. MMT’s already existing timekeeping system meant ForrestBrown was able to analyse this readily available data and accurately calculate where the significant R&D activities had occurred. This not only made identifying R&D much easier but also ensured they were maximising the potential claim value. R&D tax reliefs were introduced in 2000 and so are well established. Awareness of the incentives has grown rapidly and many companies now have a long track record of claiming. Despite this, too many of these companies only concentrate on R&D relief once a year and don’t set down proper processes for recording the necessary information to back up their R&D tax credit claims. ForrestBrown offers comprehensive support to companies who need to develop robust record-keeping processes. Our team is more than 80+ strong and made up of chartered tax advisers, lawyers, PhDs, sector experts and former HMRC inspectors. This adds up a level of technical firepower that is hard to match. The ForrestBrown team have considerable specialist expertise in advising on developing strong record-keeping practices. Malcom Henderson is a former-HMRC tax inspector and R&D specialist. Similarly, our director Jenny Tragner sits on HMRC’s R&D Consultative Committee. This gives our team a unique insight into the way in which HMRC works and is thinking about R&D tax credit claims. By having this resource available to our clients, we can advise on best practices and processes which fit with your business. When we manage the R&D tax credit claims process on behalf of a client, we will assist them in identifying what records they currently have. And we will provide bespoke suggestions to improve their record-keeping for future claims. Things like looking for R&D as an agenda item in monthly meetings, checking out Slack groups and any blogs created around technical processes. We also offer expert, standalone record-keeping consultancy. It is designed to help you maximise your claims, reduce risk and ensure you are adhering to the best standards. We can work alongside your existing tax team or advisers. To find out exactly how we can help you, please call us on 0117 926 9022 or send us an email at hello@forrestbrown.co.uk.